Frustrated trying to manage duplicate tracks and files in iTunes on your Mac? 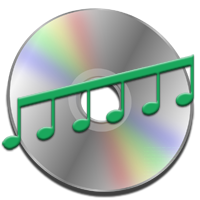 M3Unify is a flexible file exporter and M3U playlist creator that will allow you to off-load copies of your iTunes songs to a user-chosen locationseparate folder, external drive, USB thumb drive, SD card and so onthe way you and your audio player want. Making a playlist in iTunes is pretty easy. But some people are really particular and miss the convenience of being able to assemble a playlist in one iTunes window by dragging tracks from another. Smarts will save and store the criteria of an iTunes Smart Playlist  the smarts of a Smart Playlist  as a template so you can reload it into iTunes later, back it up, or share with other iTunes users. Go to the AppleScripts for iTunes section.